From 24/96 Sound Effects. Oh Baby! 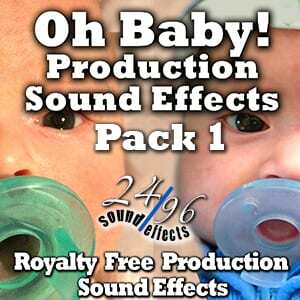 Pack 1 features 55 HD 24bit/96khz Sound Effects featuring the cutest babies you will ever find. From Newborns to Infants. Every gurgle and every cry.